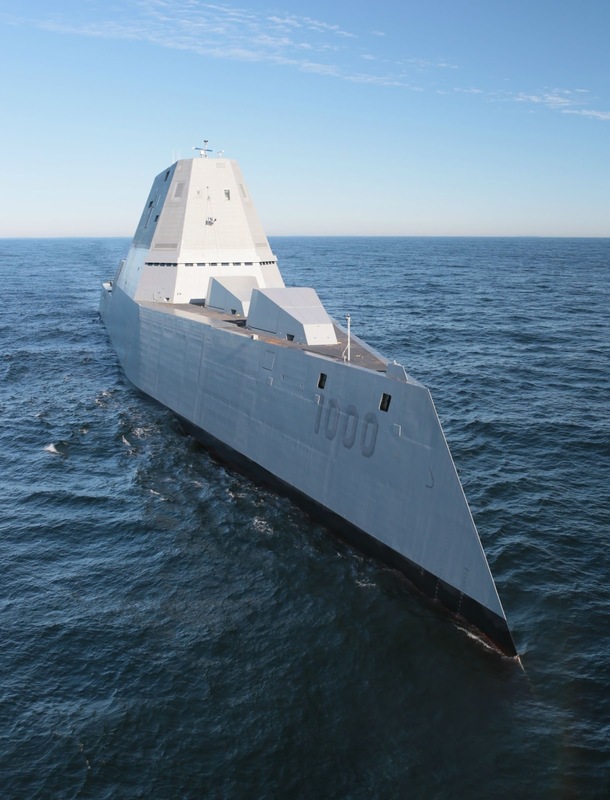 WASHNGTON, -- All three of the new Zumwalt class of stealthy destroyers will be assigned to the Pacific as part of the re-balance of U.S. forces to the region to promote stability and counter China, Defense Secretary Ashton Carter said Friday. On a related issue, the secretary said he was convinced that negotiations with the Seoul government would be successful on placing the Terminal High Altitude Area Defense system in South Korea to counter the North Korean nuclear threat despite the opposition of China. "It's going to happen. It's a necessary thing," Carter said of the THAAD placement, and "it has nothing to do with the Chinese and I wish the Chinese would work with us" on reining in North Korea. In addition to other new assets slated for the Pacific, such as F-22 Raptor and F-35 Joint Strike Fighters stealth fighter jets, "all three of our newest class of stealth destroyers, the DDG-1000, will be homeported with the Pacific fleet," Carter said in an address to the Council on Foreign Relations on the Asia-Pacific rebalance. The Navy has previously said that the 600-foot Zumwalt, named for the late Chief of Naval Operations Adm. Elmo Zumwalt and the largest and most expensive destroyer ever built, would be homeported in San Diego once it is commissioned, which was expected to happen in the fall. 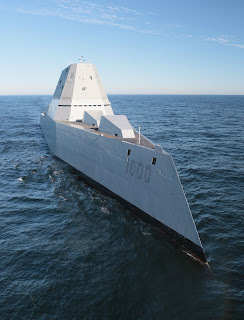 The Zumwalt built by the Bath Iron Works in Maine, a subsidiary of General Dynamics Corp., recently underwent sea trials off the East Coast. 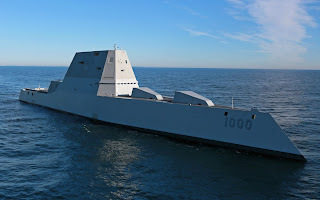 The two other destroyers projected for the Zumwalt class were to be named the Michael Monsoor and the Lyndon B. Johnson. The non-partisan Congressional Research Service reported this week that the costs for the three Zumwalt class destroyers had risen for the eighth straight year, increasing by $450 million in the last Fiscal Year and pushing the total projected costs for the three ships to more than $12.7 billion. The report said "potential oversight questions for Congress include the following: What are the causes of this cost growth? Does the Navy expect the cost growth to continue past FY2017? What is the Navy doing to end this cost growth and bring DDG-1000 procurement costs under control?" Shortly after his remarks to the Council on Foreign Relations, Carter was departing on a trip that would take him to India and the Philippines. Much of his address focused on the growing U.S. defense relationships with India in contrast to the Cold War years, when India was a leader of the non-aligned movement. "As the United States is reaching west in its rebalance, India is reaching east, in Prime Minister (Narendra) Modi's 'Act East' policy that will bring it farther into the Indian and Pacific Oceans," he said. "Over the course of my years at the Defense Department, I have seen a remarkable convergence of U.S. and Indian interests -- what I call a strategic handshake," Carter said. In a question-and-answer session, he said "the U.S. and India for 50 years essentially lived apart" on defense matters but the U.S. was now looking for India to "work with us, although in a way that maintains their independence." On his visit, Carter said he would stress ways for U.S. businesses to expand on the "co-production" of new weapons and systems with India. "My job is to make those negotiations less difficult," Carter said. The United States Navy USS Zumwalt (DDG-1000) next generation multi-mission stealth destroyer conducting at-sea tests and trials in the Atlantic Ocean Dec. 7, 2015.